Hope you all had a lovely 4th of July weekend. Did you BBQ? Maybe you are looking for a Meatless Monday option today after all the gluttony. Here’s an easy dish to prepare for your family, one that every member, even the littlest ones can enjoy. 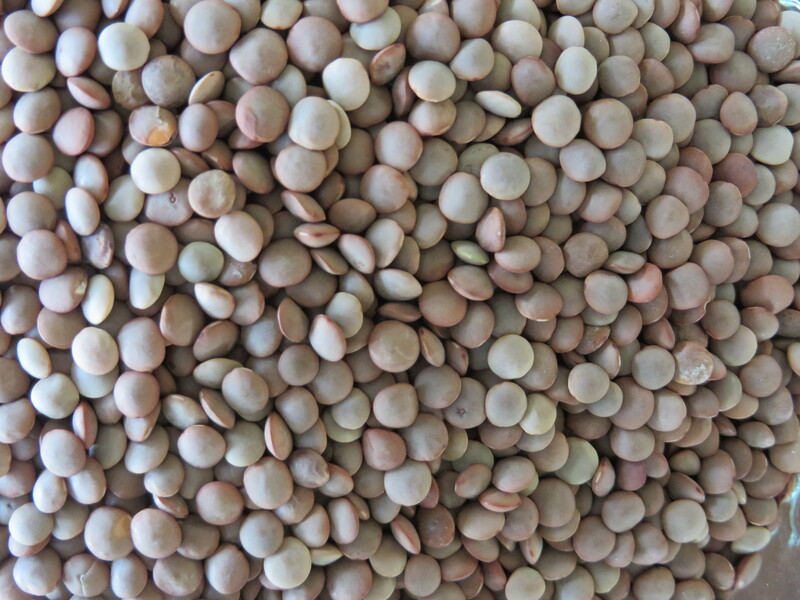 Dal, or lentils, are an incredibly healthy member of the food world. They are packed with protein and high in fiber, not to mention other nutrients. They are eaten all over the world–India, France, the Middle East–and are considered the ideal baby food due to its nutritional value and ease of preparation. Dal is versatile too! 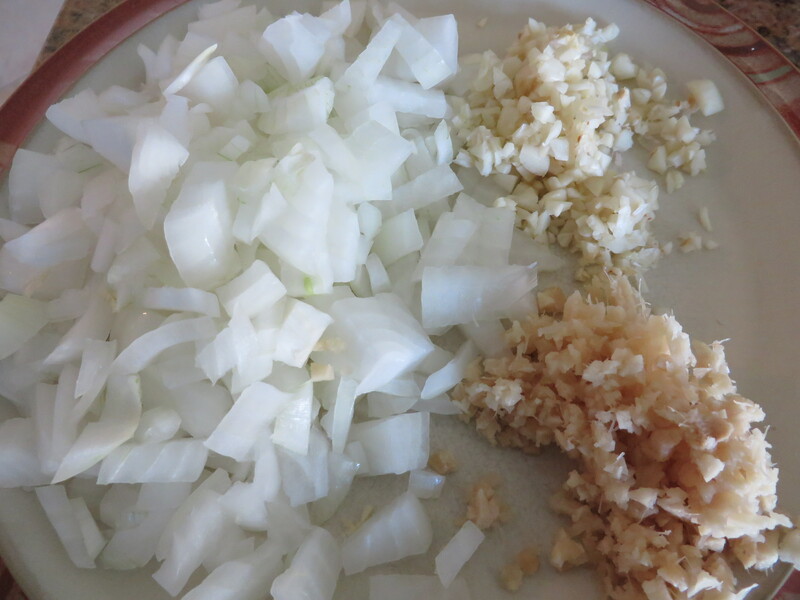 You can serve them with just a little bit of salt, any kind of ground spice you can think of, and they take well to onions, ginger and garlic (my personal culinary holy trinity). Start simple by serving your baby/toddler/child just boiled (or pureed) dal, with no seasoning or a small pinch of salt. Then, as your little one gets used to the flavor and texture, start adding seasonings–a pinch of coriander powder, cumin powder, garam masala. Work your way up to the adult version with onions, ginger and garlic. Personally speaking, I fed my little Kirina a pureed version of whatever my husband I were eating when she was 9 months or so. She took to it nicely, most likely because she was used to the lentil flavor at that point. Here’s a recipe for everyone to try. 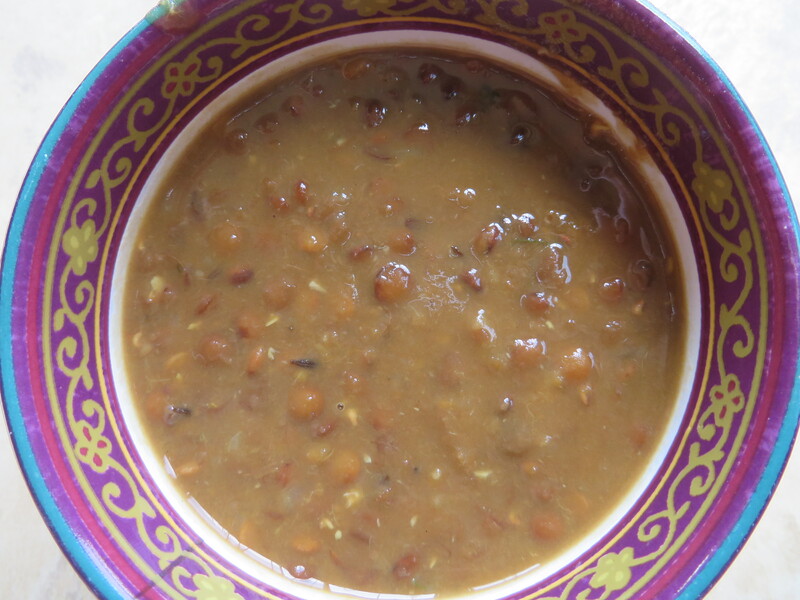 I used whole masoor dal here, which is a red lentil easily found in Asian grocery stores. 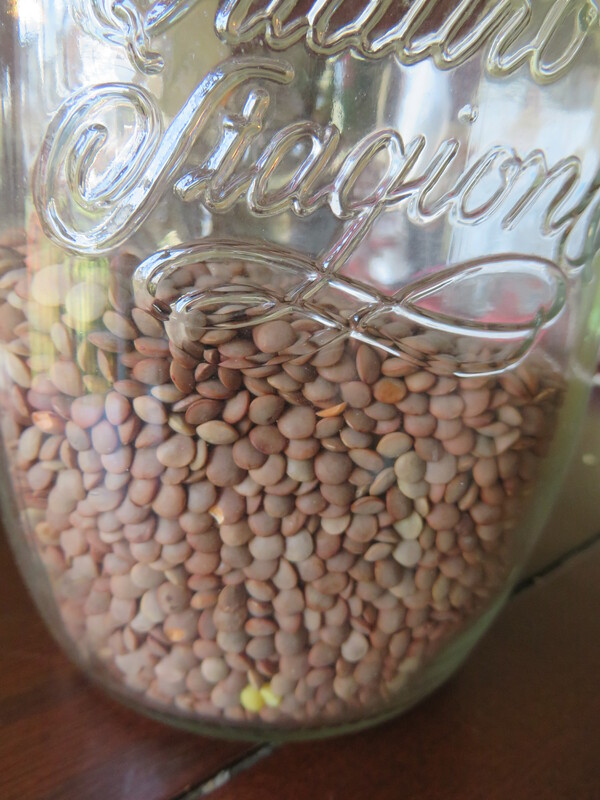 There is a split red lentil called masoor also, which simply means the lentil is skinned and halved, making for an even faster cooking time (I’ll do a separate post on that in the coming weeks). Ok, so here goes, with pictures. 1. 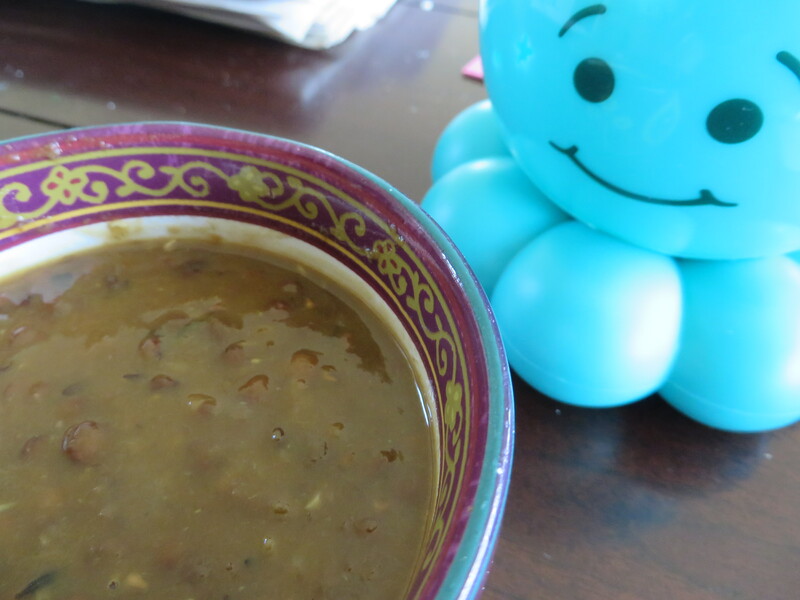 Soak your dal for 30 minutes, then boil for 45 minutes until super soft. 3. Coat a heavy-bottom saucepan with a little bit of oil. Sautee onions on a medium flame until golden brown, about 10 minutes. Add garlic, ginger and tomato paste, if using, and sautee until the oil separates from the mixture, 10-15 minutes. 4. Add spices. 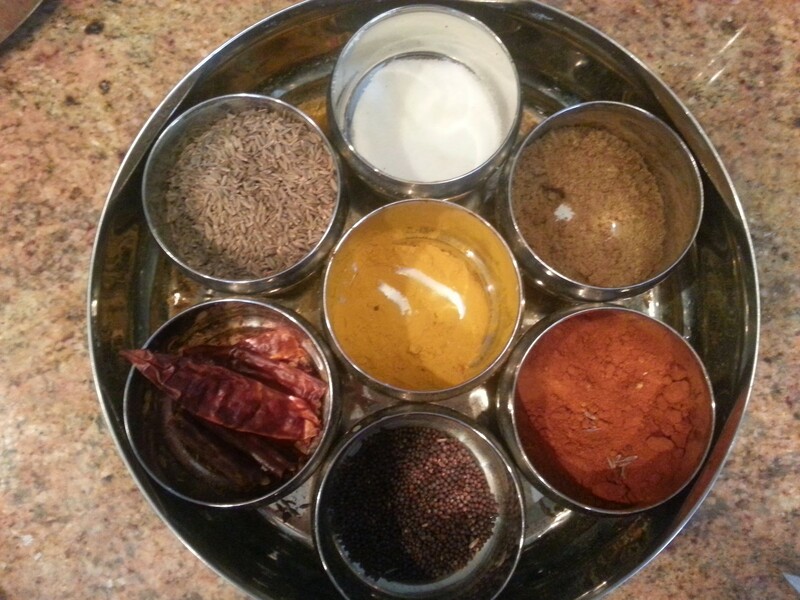 This part is up to you…traditional preparations call for a teaspoon each of garam masala and/or coriander and cumin powder, along with 1 teaspoon of turmeric and chili powder and salt to taste. Select your baby’s adventure level and add to mixture. Cook for about a minute. 5. Add boiled dal and simmer for 5-10 minutes to allow flavors to come together. Add water to thin out if necessary. 6. Dal is ready! Puree for small babies and leave as is for older children and adults. Thanks, Ravi! We miss you!